Version 2.0 released. Free on Windows 10 and Android! Tower Operator contains all the functions you need to manage and operate all the Static Features on your railroad such as Switches, Signals, Lights and power. 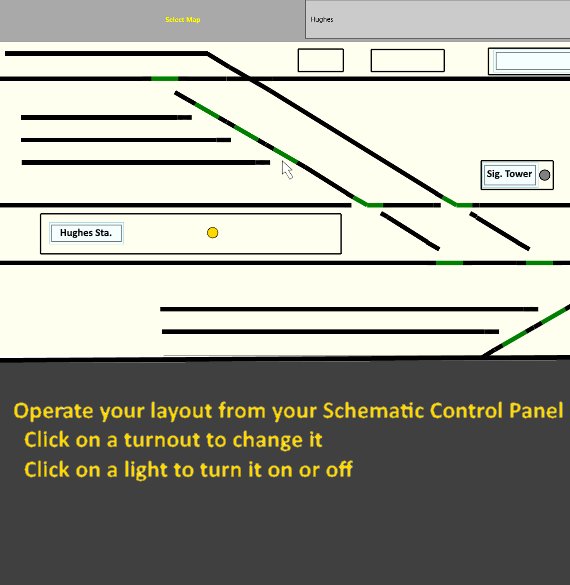 It brings a Centralised Train Control (CTC) concept to your model railroad using "Schematic" Control Panels. We recommend installing from one of the app stores. However, if you are accessing this page from your Android device, you can also install directly from our website by clicking on the link below. To install from this link you will have to allow your Android device to "Install from unknown sources". This option is usually found on the "Settings, Lock Screen and Security" page in Android. However if this is set to disallow unknown sources, you will usually be able to accept "Just this app" when you install it. 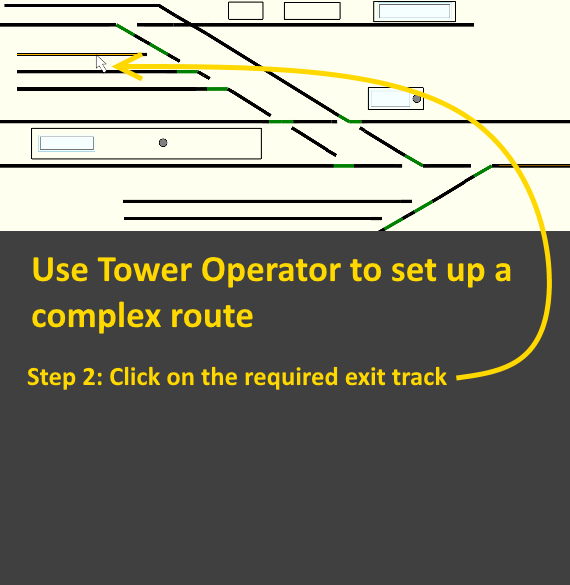 Tower Operator is our advanced app that provides a Centralised Train Control (CTC) concept to your model railway. It runs on Windows 10 and Andoid (4.4 and above). An IOS version for IPhone and IPad is now in development. 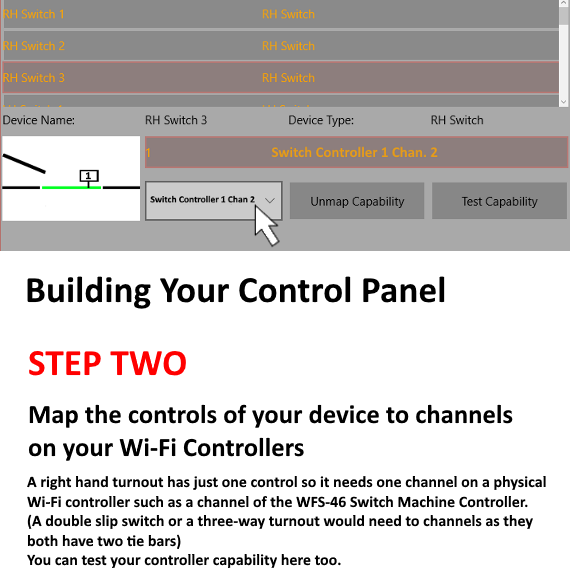 This app is intended to work with WifiTrax Wi-Fi Layout series of products: WFS-86 Eight-way Switch Machine Controller, the WFS-46 Quad Switch Machine Controller, the WFG-80 Lighting and General Purpose Controller, the WFP-40 Power District Manager and the WUFP-40 Wi-Fi DC Universal Power District Controller. To drive DC locomotives using the WUFP-80 you must also install the Loco Operator app. 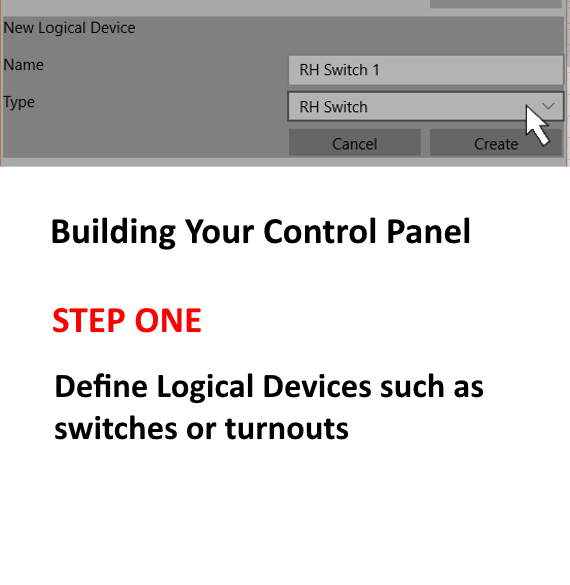 The Loco Operator app also includes simple control of switches and power without maps. Each of these units provides capabilities such as control of a switch machine (4 capabilities in WFS-46) or control of a light or signal. 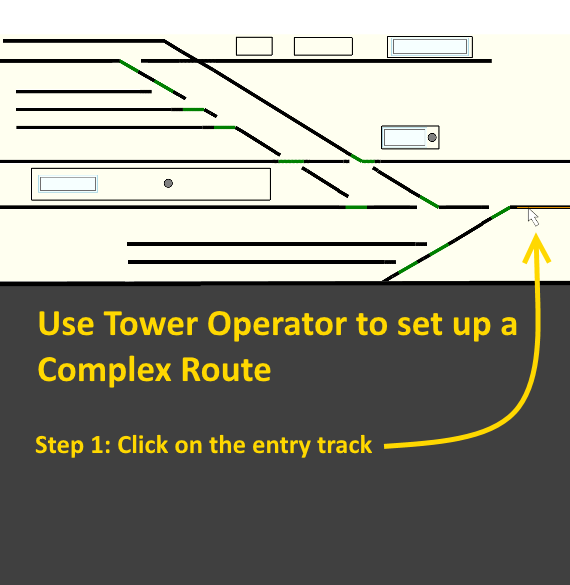 The Tower operator allows you to create logical devices such as left and right turnouts, grade crossings, double slips etc. and map the control points on these to capabilities. Once you've define your devices and mapped them to hardware, you can build schematic control panels for each section of your layout. You can draw the tracks and place your devices on them. When you've finished editing, you can switch to run mode and operate all the devices on your schematic by clicking turnouts, signals and other symbols. You can even set routes by clicking any two points on the schematic in front of you. 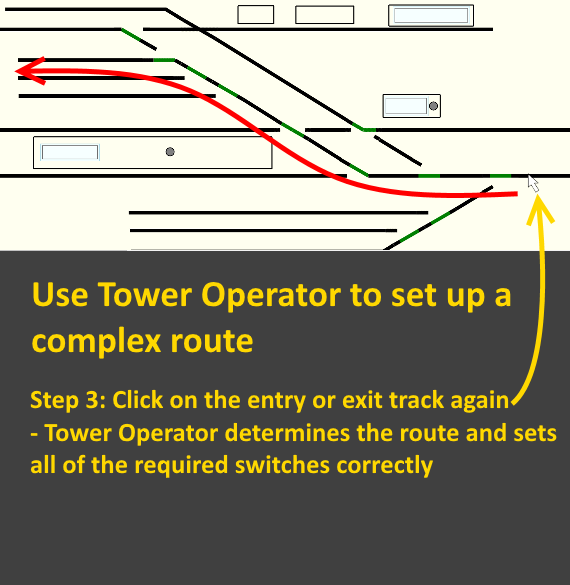 If a route is possible, Tower Operator will automatically configure all the switches along the route for you. This app is quite advanced and will not work well on a low resolution phone. It will work well on an Android 8 inch tablet such as Samsung Galaxy Tab. However editing large maps can be a bit difficult without a mouse although simple ones are OK. It is a good idea to build your larger control panel maps on a Windows 10 machine such as a laptop. 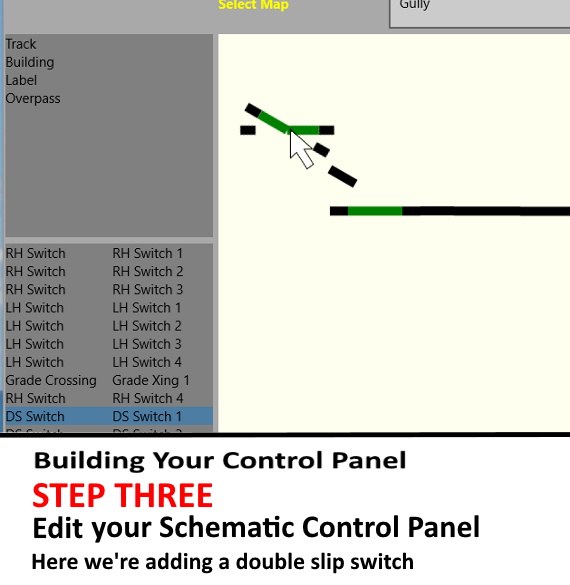 You can then export the controllers, devices and maps, copy them to your Android tablet and use the tablet to walk around and control your layout. You can install and try out the Tower Operator app on your device before you buy our hardware. You can create devices and build maps, but of course you cannot connect to a layout until you install our modules. Please note that our Loco Operator app now supports control of switches and power in a simple manner using lists of named features. Android 4.4 and above, on Android .Tablet.